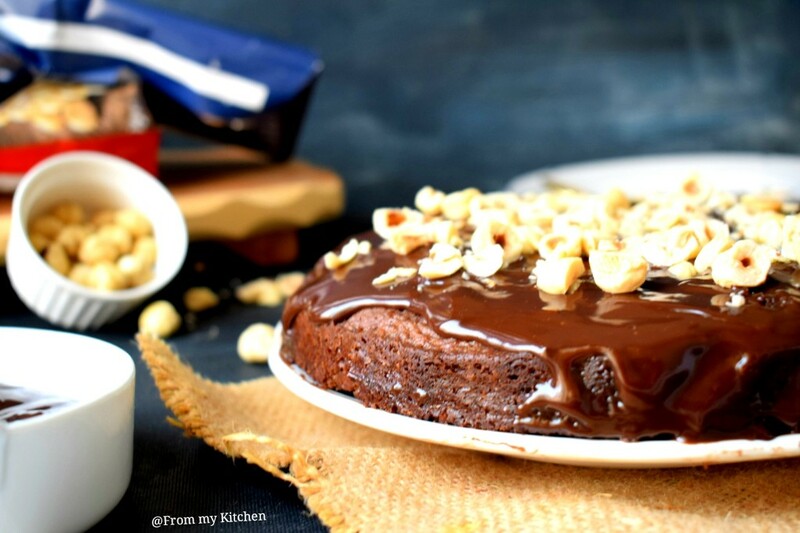 Decadent moist and delicious chocolate cake again!!!!!!!!! 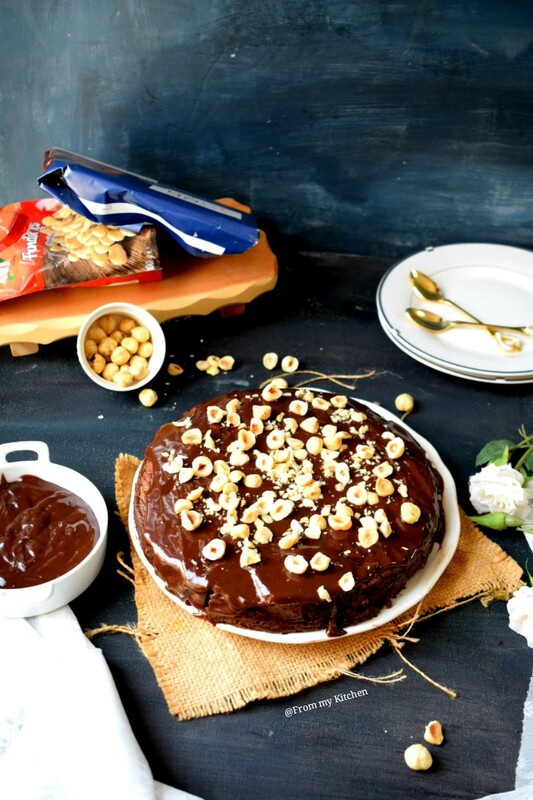 This is so spongy and rich chocolate cake with very simple steps! 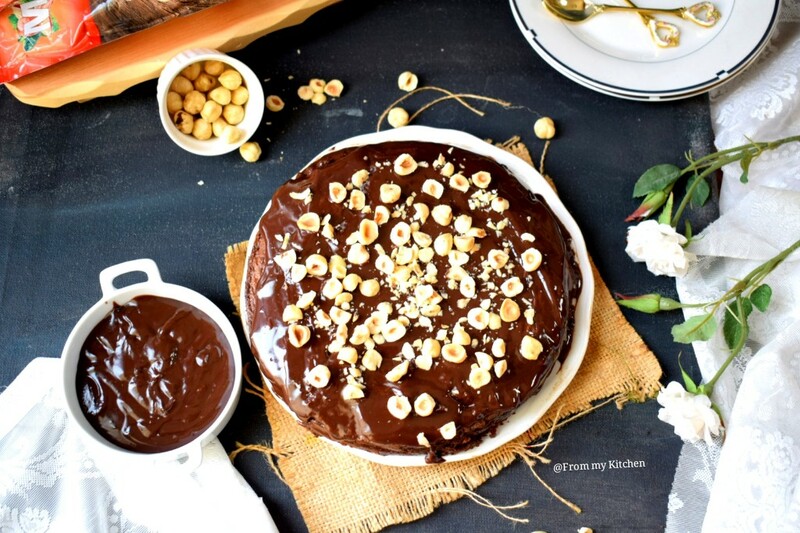 If you are craving for a rich and decadent chocolate cake here is the right choice! 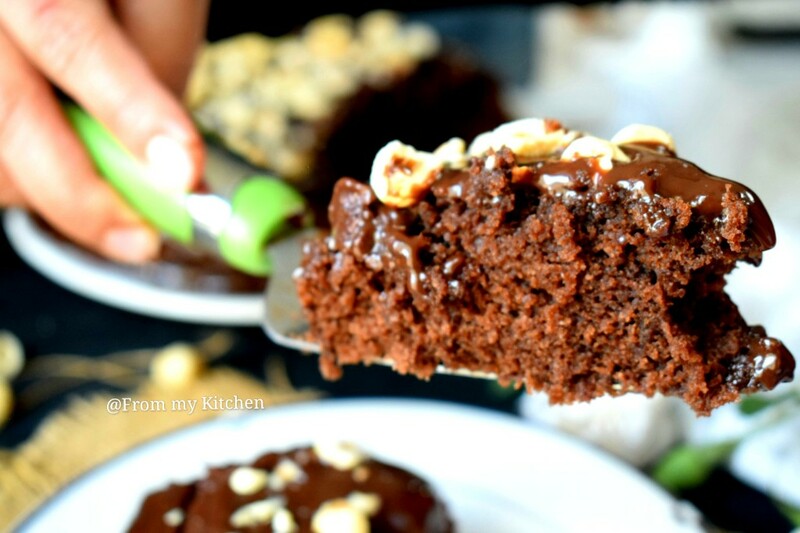 I have some more delicious chocolate cakes in my cake folder and every recipe are a must try! Devil’s food Cake, Chocolate sheet cake, Chocolate poke cake, Fudgy brownie, sizzling brownie, Moist Chocolate Cake and many more to come! 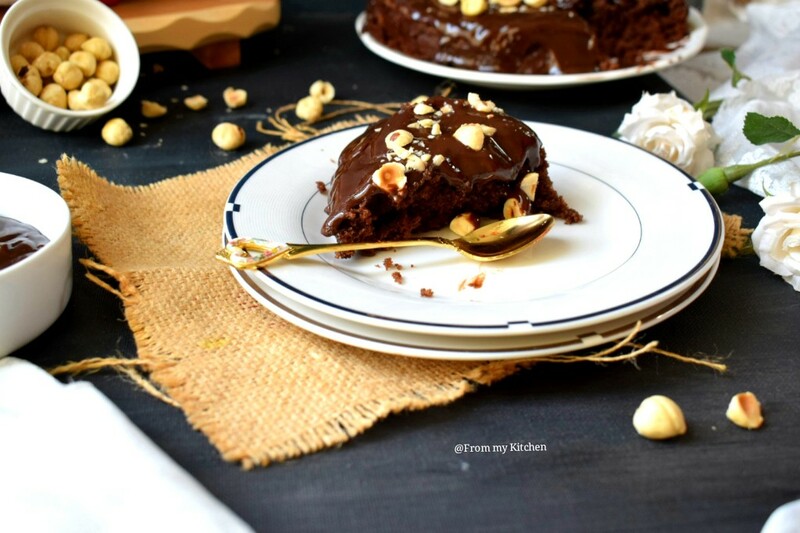 This Mud cake you can have it plain without any topping because its sweet rich and soft as it is! 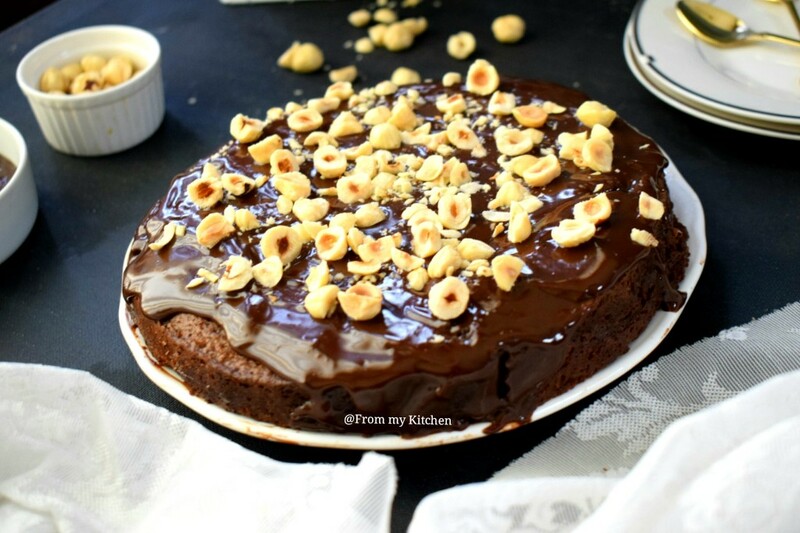 I topped it with silky smooth chocolate ganache and some toasted hazelnut that takes the cake to another level and my whole cake finished in no time! 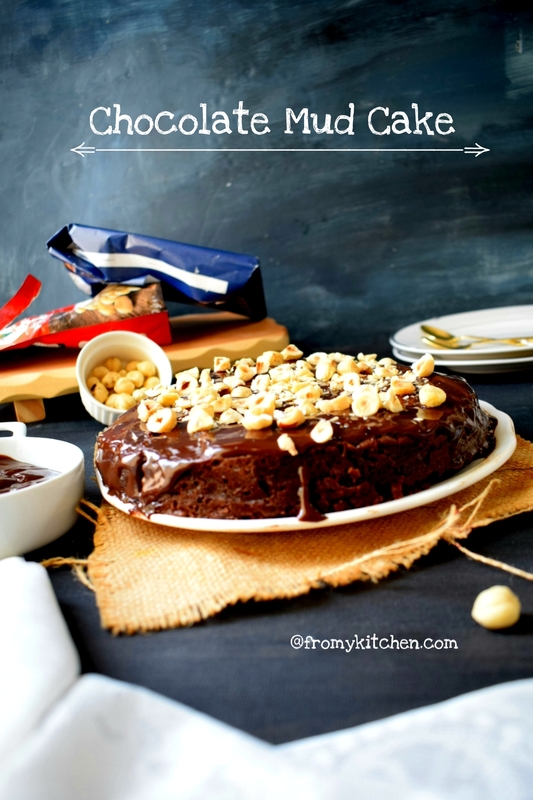 So chocolate lovers don’t miss this recipe, watch my video to see how simple the cake is to make! If you are adding any nuts as topping make sure you toast it because it really enhances the flavor! 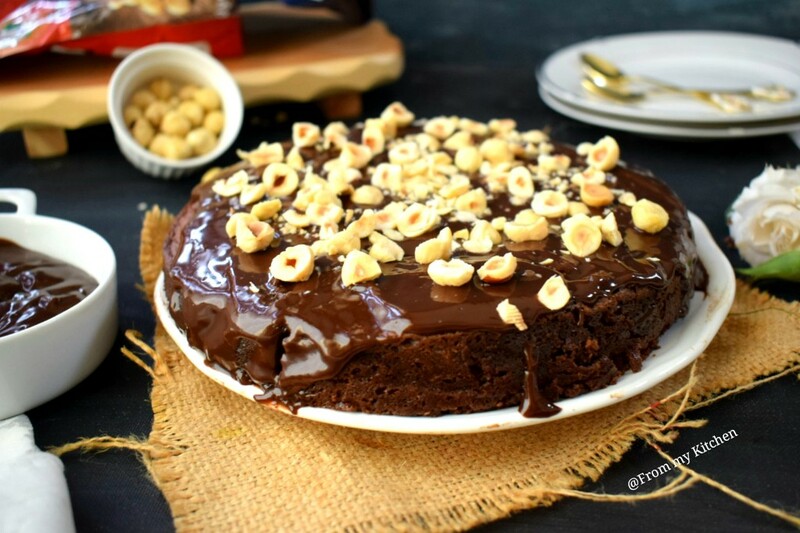 Beware no one can stop this mud cake on just one slice!😉😊hehe! The recipe is inspired by Donna Hay’s website. I halved the recipe and made some slight changes! SO what are you waiting for! Let’s check out the recipe! Add vanilla, and when its fully melted switch off the flame and transfer it to a large bowl when its cool. Add egg and whisk it to combine. Then sieve the dry ingredients to the wet and whisk and fold gently until well combined. Prepare a round baking tray with parchment paper and dump in the batter. 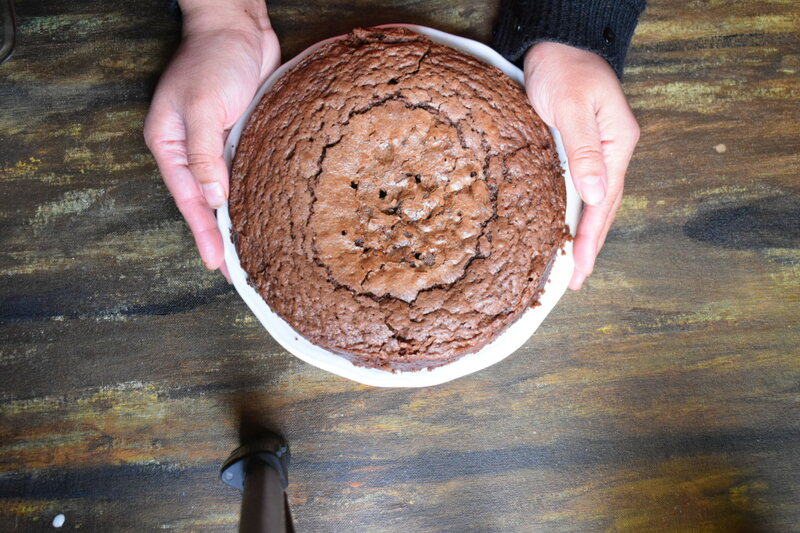 Bake the cake on the preheated oven for 40 to 50 minutes or until the toothpick inserted comes out clean. Dump in the cream, chocolate, and butter in a microwave safe bowl and melt it. It will take 1 minute but after 30 seconds give it a stir and then microwave it again for 30 more seconds, mix and make a silky smooth ganache. 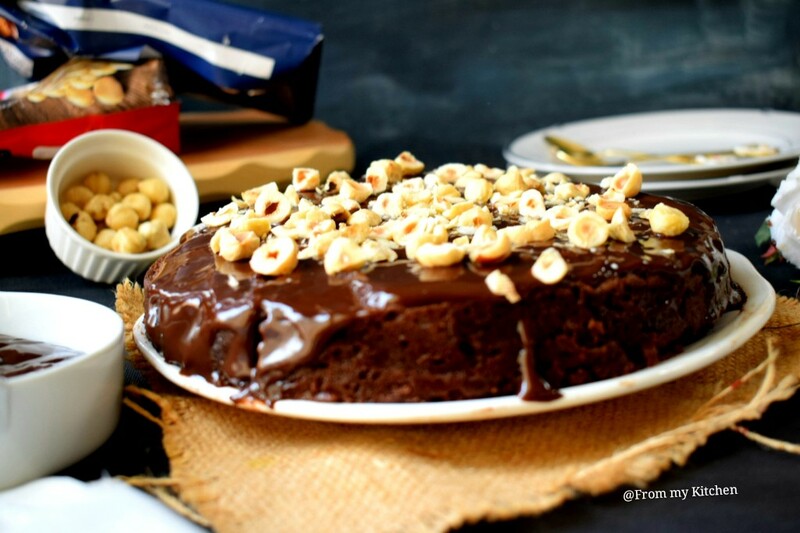 Top it over the cake and add some toasted hazelnut and dig in!